There are only a few days left until 2013! Boy, time sure flies fast when you’re having fun. 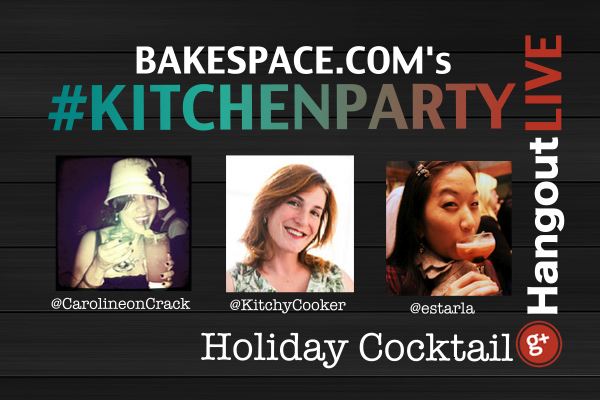 We have some wonderful things planned for 2014 that we’re sure you’ll enjoy including a new recipe and cookbook design at BakeSpace.com! 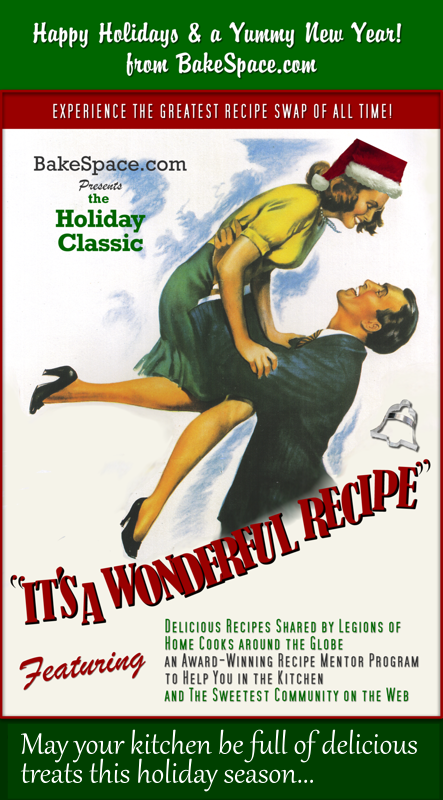 Here’s to a delicious holiday season and a delectable New Year! In a large bowl, whisk together eggs and sugar until light in color and sugar is dissolved. Whisk in vanilla, nutmeg, milk and brandy, if using. Strain into a small pitcher and chill. Pour into glasses and sprinkle with additional nutmeg. In a small glass, pour eggnog 3/4 of the way up. Add Bailey’s Caramel flavored Irish Cream and stir. Enjoy! 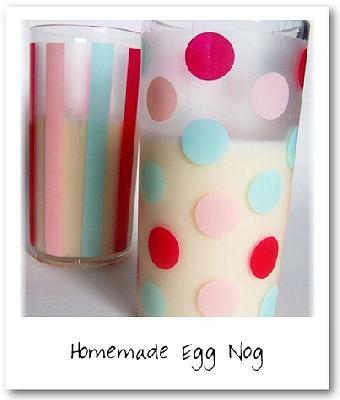 You can also thin this out with milk if eggnog is too thick for you. Set aside 2 or 3 round scoops of ice cream in the freezer for garnish. Stir remaining ice cream until softened. Gradually stir in eggnog and rum. Transfer to a punch bowl, and stir in ginger ale. Hang candy canes around the edge of the punchbowl. Float set aside ice cream scoops on top, and serve immediately. In a sauce pan combine everything except shaved chocolate and 1/2 cup of whipping cream. Heat, but do not boil. Beat remaining whipping cream. Fill coffee mugs with drink, topping with whipped cream and shaved chocolate. Makes 10 drinks. 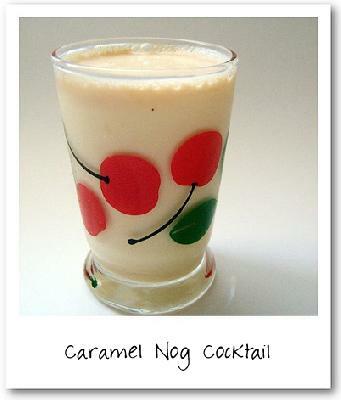 Find more Eggnog Flavored recipes on BakeSpace.com!